Quito, Ecuador – Ecuador's Minister of Hydrocarbons announced this week that the government will auction sixteen oil concessions in the country's remote southern rainforests, despite adamant indigenous opposition and a recent, explicit government promise to the contrary. In December, President Lenin Moreno's administration committed to end new oil and mining concessions in areas where local indigenous nationalities had not been consulted. The agreement was made immediately after the indigenous movement held a two-week, 200-mile march from the Amazon to the capital city of Quito demanding an end to oil and mining activity on their territories. However, none of the affected indigenous nations have been properly consulted about the newly-announced concessions, violating both Moreno's December commitment and internationally-recognized human rights agreements intended to protect the rights of indigenous communities whose lives and lands are affected by extractive projects such as oil drilling. The new oil auction and lack of consultation – not to mention Free, Prior and Informed Consent – are also in direct violation of recent precedent and rulings from the Inter-American Court of Human Rights. 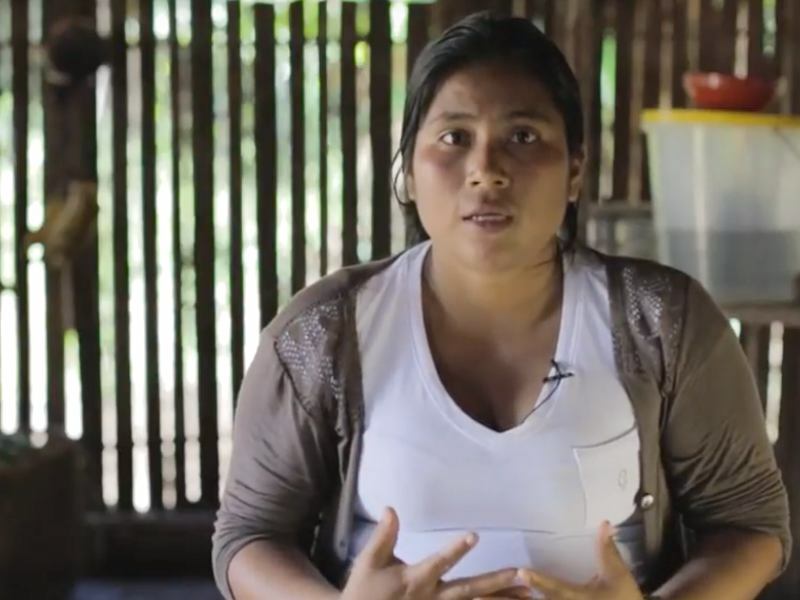 The announcement of this new oil round, which is being called the “Southeast Round” (Ronda Suroriente), also threatens to undermine ongoing dialogue between the government and the indigenous movement, and takes place in the context of increasing threats to environmental rights defenders in Ecuador and around the Amazon region. The proposed blocks cover nearly seven million acres of roadless, primary forest in the southeastern Ecuadorian Amazon and the titled territories of the Shuar, Achuar, Kichwa, Waorani, Shiwiar, Andoa, and Sápara indigenous nations. The region is home to some of the highest levels of biodiversity on the planet. This is not the first time that Ecuador has sought to tender these blocks. Previous rounds were scrapped after protests and little interest from companies. Government road shows promoting the last attempt to auction the blocks in 2013 were met with protests in Quito, Houston, Paris, and Calgary. The entire 2013 round solicited only three bids. Some of the blocks now included in the Southeast Round had previously belonged to several oil company majors. But ARCO, Burlington Resources, ConocoPhillips, and independent CGC (Companía General de Combustibles) all faced on-the-ground resistance to their operations, as well as lawsuits, injunctions, and protests that paralyzed the projects, leading to significant work slippages, force majeure contract defaults, and ultimately abandonment of plans and departure from the country. The auction is expected to officially open for bids in the second quarter of 2018. According to Minister Carlos Pérez, oil giants such as Exxon and Shell have expressed interest. Amazon Watch research has demonstrated that U.S. financial institutions BlackRock and JPMorgan Chase finance oil companies operating in the Amazon, even in places where indigenous communities adamantly oppose drilling on their ancestral territories, and that U.S. corporations with large transport footprints, including Amazon.com, are using Amazon-derived fuel in their transport operations given that a majority of crude exported from the Amazon comes to the United States, mostly California.